Best known as the hard-hitting timekeeper behind the ‘80s mega-band Tesla, Troy Luccketta has quietly assembled a body of side work that may surprise even his biggest fans. An incredibly humble musician, he admits that he is only now beginning to comprehend the influence that he has had on an entire generation of drummers. In 1986, Tesla released their debut album, Mechanical Resonance. The resulting bevy of hit singles and associated videos propelled the band to superstar status. As a session player, transitioning from the tour bus to the studio was a surprisingly easy step for Troy. By establishing a reputation as a dependable and competent timekeeper who showed up ready to work for the artist, Troy found himself performing on a wide variety of records for artists including Doris Day. The first really diverse gig he got was an R&B session for a wonderful artist named Freda Payne. Paying it forward, Troy took on 22 students for one solid year with a weekly schedule. One of his students was Thomas Pridgen, who went on to become a highly respected clinician and member of The Mars Volta and The Memorials. Studios/Productions. 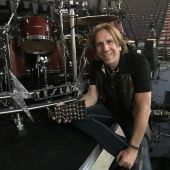 His engineering skills led him to the project, Ronnie Montrose’s Gamma 4, recording one of his drum heroes Denny Carmassi. Like many of their peers, Tesla are only now beginning to understand their influence on a generation of middle-aged adults who now bring their children to Tesla shows in order to introduce them to the mighty five-man band that inspired their youth. Troy’s scope of work and his no-nonsense approach to music-making is a shining example for younger players who want to be successful. Troy’s biggest efforts, however, continue to take place outside of music. He has been actively and enthusiastically involved in promoting and supporting multiple charities, including asong4wellness.org with his wife Linda that was started after the passing of Linda’s sister with cancer. One of the most successful events championed by Troy was the 2008 Station Nightclub Benefit Concert which raised money for the victims of the fourth-deadliest nightclub fire in U.S. history that occurred at the Station Nightclub in Rhode Island in 2003. That event raised 650k and was picked up and supported by VH1. 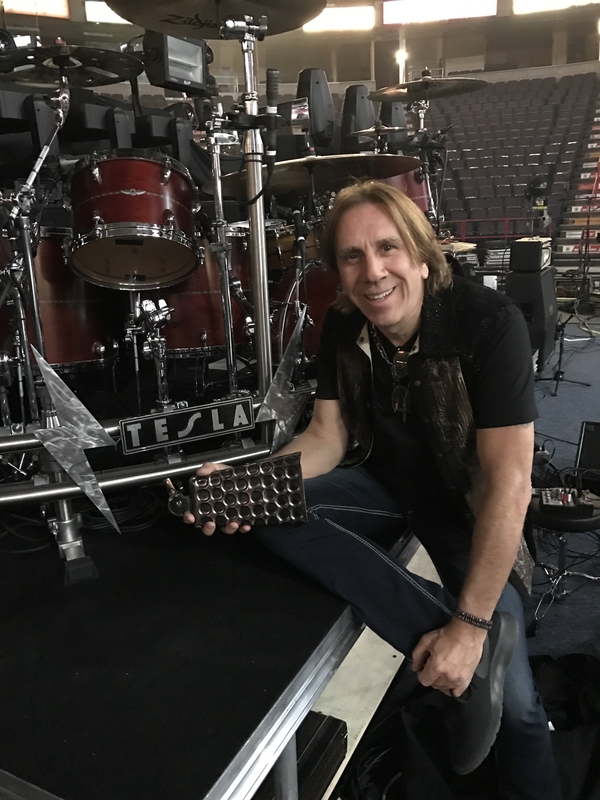 Today Troy continues to tour, record, and produce with the same passion that has propelled him behind the drum kit for over the last 40-plus years.